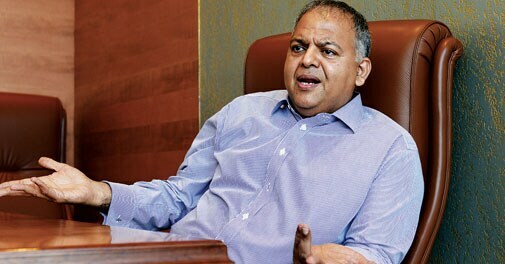 Subramanyam Lakshmi Narayanan, CFO of Sun Group, talks to Venkatesha Babu about why they will not give in to the pressure and sell out the TV business. 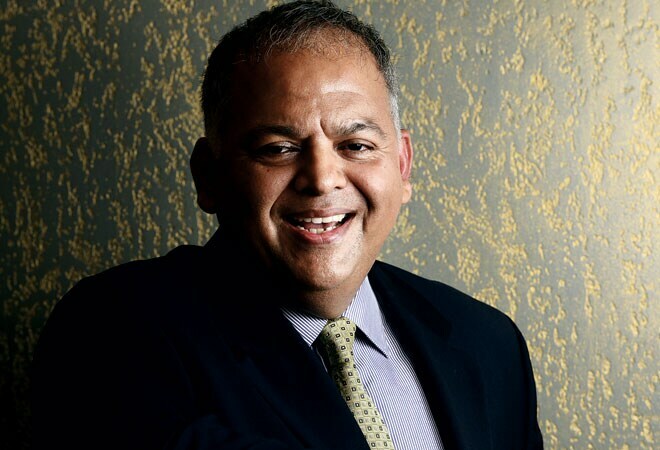 Subramanyam Lakshmi Narayanan, the Group CFO, is the suave and articulate voice of the Sun Group, a good counterpoint to the media-shy Kalanithi Maran. SL, as he is called within the Group, talks to Venkatesha Babu about why they will not give in to the pressure and sell out the TV business. Q- How did things come to such a pass that the very existence of the group might be threatened? A- We have been completely taken aback by the events. We weren't even sure whether we wanted to be vocal on this, but we did as it spooked us. I had to go on television to say that this is patently unreasonable. These licences have been renewed for the next 10 years. They are maturing only starting 2021. So, when news came that the licences are being revoked because Mr Maran is being investigated for some crimes, I called it an Armageddon on us. Q- What was the genesis of this issue? A- Look, these licences are issued for 10 years. When time came for renewal of various channels in 2011, 2012 and 2013, they were renewed. So, I don't know (what the problem is). I have a more fundamental issue. Where is the need for the government to issue licences to the media? This is big government in its most horrible form. This is the kind of behaviour which makes India rank with Lesotho and Yemen in ease of doing business. This is a huge discretionary power vested with the executive which may or may not be exercised with reasonableness. This was relevant when satellite TV was new. I remember there were pitched battles in Parliament when the foreign investment limit in the sector was increased from 26 per cent to 49 per cent. All kinds of things were said, that foreigners will take over TV networks, espionage will be easy, etc. Today, 100 per cent foreign direct investment (FDI) is allowed in telecom. India is not a banana republic and if some subversive activity is being perpetrated, it can shut anybody overnight. Q-What communication have you got from the home ministry and/or information & broadcasting ministry? A-This is what is surprising. Till date we have not received a scrap of paper from any ministry. The whole thing (about possible revocation of licences) we have read only in the press. No e-mail, no communication, verbal or written. I camped in New Delhi for three days asking for a meeting with Nripendra Misra (the Principal Secretary to Prime Minister Narendra Modi). Nobody in this government wants to meet us. This has never been the case. In the past they might not agree with you but they would meet you. For the first time, no senior person wants to meet. This is ridiculous. Q- On a single day, 26 per cent market-cap of your listed entity was wiped out. What has been the reaction of investors, analysts, partners, employees and other stakeholders? A- One of the biggest bulge-bracket FIIs (foreign institutional investor) told me, "I am not a lawyer, but in the civilised world, you are presumed innocent until you are pronounced guilty. What law allows them to shut you down when there is an allegation pending?" Sun Direct is being investigated for this investment it got. They say it is a bribe masked as FDI. That matter is sub judice. We have shown to the CBI (Central Bureau of Investigation) that the price that Sun Direct got is not unreasonable. If anything, it is extremely reasonable. Let me explain. There are two publicly available valuation benchmarks for us - Dish TV's IPO in April 2007 and Temasek's investment in Tata Sky. Our premium valuation is far lower than that. More important, the money from Astro has been wholly and fully deployed into the (Sun Direct) business. We have tendered evidence running into tens of thousands of pages on what we did with the money. Bulk of it has gone towards purchase of set-top boxes and payment of customs duty on them. Against that investment, Astro has been given a 20 per cent stake, which has gained in value. We just did a rights issue at Rs 120 a share. Sun Direct is the most profitable DTH company in India. Our margins are better than that of Dish TV. Sun Direct has five million subscribers who pay every month. Its gross subscriber base is eight million. The beauty of our group is that each company is firewalled from the other. For instance, when SpiceJet was bleeding, not a penny from Sun TV was used for it. Taking money from one company and putting it into another group company is the curse of corporate India. We said we will never do it. There are no cross-holdings in the group. In Sun TV, Kalanithi owns 75 per cent, in Sun Direct 80 per cent is owned by Mr & Mrs Kalanithi Maran, in fact Kavery (Kalanithi) owns 62 per cent. So, all holdings are separate. The publications division is separate. These are all silos. We have 33 channels, 48 radio stations, a couple of print publications, some distribution business and a call centre. SunRisers (the Hyderabad IPL team) is a subsidiary of Sun TV. So are the radio stations. We are present in all 54 million cable or satellite homes in the southern states. In south, they watch Sun, Udaya, Gemini or Surya. The groups revenues are a little over Rs 4,000 crore and it employs approximately Rs5,000 people. Q- Do you see the actions of the Centre as political vendetta? A- I would like to believe that we are not in this situation because of political reasons. Q- Have there been attempts at mediation with the Centre using the influence of some politically well-connected family members? A- I don't want to comment on this. I am not aware of this. My job is to run this company as a professional manager. Q- So, the Centre's apprehension and likely revocation of licences is due of security threat or economic issues? A- How can we ever be a national security threat? We have been operating for 22 years and all we show is family dramas and movies. The content is nowhere seditious. Our content is not the problem. If the accusation is that if Mr Maran is guilty of some heinous (economic) crime, my answer is that it is still at an allegation stage and there is every possibility that he will be acquitted. Why should you shut us down in the interim? Q- Just like in the case of SpiceJet, is there a possibility of ownership change in the group? A- We have no such plan. This is a great business. It is a labour of love. Kalanithi is very passionate about this business. He is very hands-on. This business is not for sale. To be very honest I also thought (the Centre's actions) were a prelude to forcing him out by making it look really disastrous, putting the fear of God in him and making him sell out. In between there was a report (that the Ambanis) were interested. I asked him. He denied it and asked me to strongly respond and issue a rebuttal. However, I saw this report about the MHA saying that if Mr Maran becomes a minority shareholder, the company will survive. It was chilling, as if somebody was sending a message. I asked him and he said there was no question of selling out. We are very clear. We will not sell out.